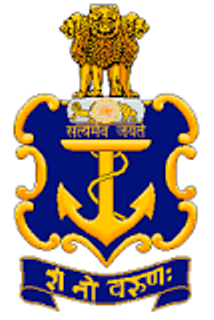 Indian Navy - IN published an official notification for Recruitment of Sailors for 3400 posts. Eligible candidates can apply for this recruitment. You can view more details about this recruitment including No. of posts, name of post, Educational qualification, Age limit, Selection process, How to apply etc... You can also view official notification and other important facts about this recruitment e.g. Important links and Important dates. Sailors for Senior Secondary Recruit (SSR) : Qualified in 10+2 examination with Maths & Physics and at least one of these subjects:- Chemistry/ Biology/ Computer Science from the Boards of School Education recognised by MHRD, Govt. of India. Sailors for Matric Recruit (MR) : Candidate must have passed Matriculation Examination from the Boards of School Education recognised by MHRD, Govt. of India. Sailors for Artificer Apprentice (AA) : Candidates should be born between 01 Aug 1999 to 31 Jul 2002 (Both dates inclusive). Medical examination will be conducted by authorised military doctors as per medical standard prescribed in current regulations applicable to sailors on entry. Minimum height 157 cms. Weight and Chest should be proportionate. Minimum chest expansion of 5 cms. Details regarding minimum height standards for entry into the Indian Navy as Sailors, including applicable relaxations, can be accessed from the official recruitment website. The candidate must be in good physical and mental health, free from any defect likely to interfere with the efficient performance of duties both ashore and afloat under peace as well as war conditions as per Navy Order (Special) 01/2008. Extract of the Navy Order can be accessed from the official Indian Navy recruitment website. Preliminary Medical Examination for recruitment will be considered only “Provisionally fit subject to fitness in the final medical examination”. Final Enrolment Medical Examination of all selected candidates will be done at INS Chilka. Candidates who are found medically fit in Final Enrolment Medical Examination will be enrolled. Candidates who are found medically unfit will be advised to appeal against its findings, if they so desire, at INHS Kalyani, Visakhapatnam within a maximum period of 21 days. Selection of recruits is based on State wise merit of their performance in Computer based Examination, subject to qualifying Physical Fitness Test (PFT) and fitness in Medical Examinations.